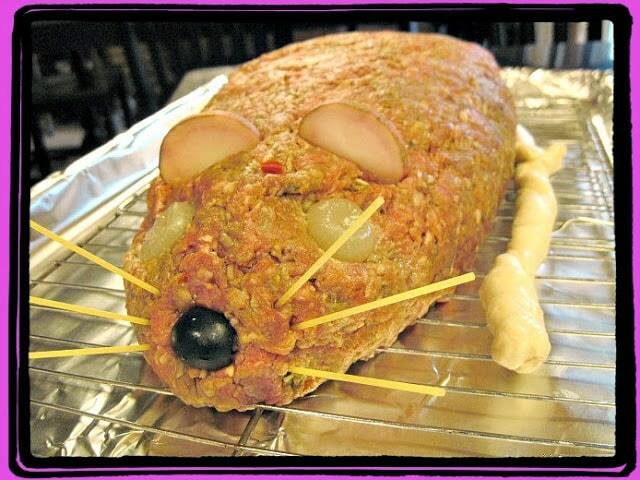 Filled with cheesy “guts”, this Creepy Halloween Rat Loaf Meatloaf will gross out everyone at the dinner table. In a good way, of course. Before I go any further with this post, let me explain to you that what I’m sharing with you here is not a recipe exactly, but more of a method. 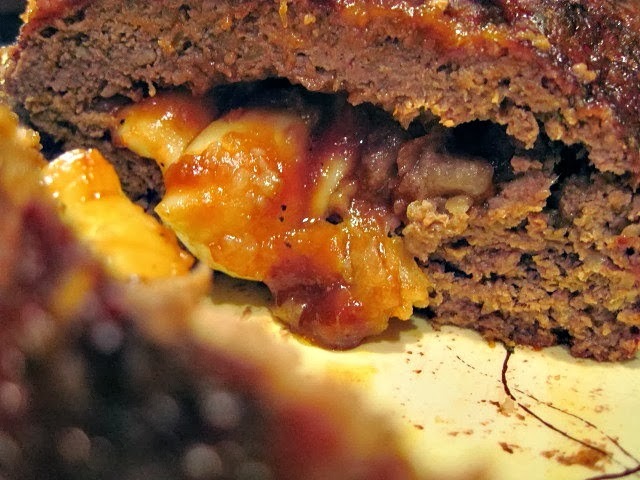 Feel free to use your favorite meatloaf recipe (you’ll need 2-3 pounds of it), and your favorite bottled BBQ sauce. Here’s what you’ll need to make this giant, meaty mammal that will creep your family and friends out for this Halloween season. -Working on an a sheet of parchment paper , pat out half of the meatloaf mixture to form a tapered oval shape. 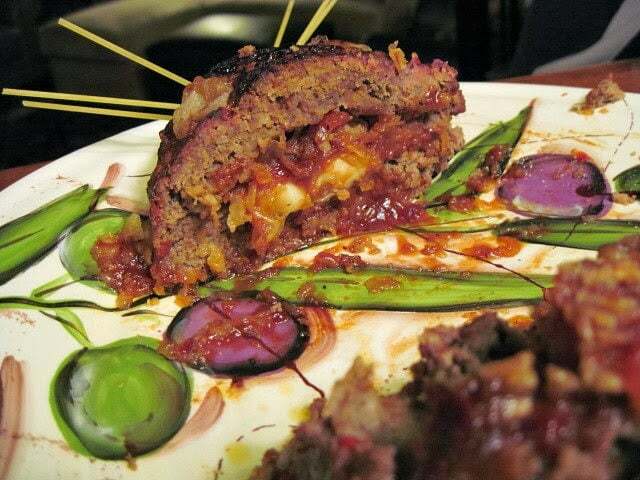 -Spread the BBQ sauce evenly over the meatloaf, making sure to leave about a 1 1/2 inch border around the entire rat. -Place the string cheese pieces over the BBQ sauce and top with the French fried onions. -Working on another piece of parchment paper make another tapered oval shape, similar in size to the first one, with the remainder of the meatloaf mixture. -Working carefully, lift the foil and flip the meatloaf out onto the top of the guts of the bottom layer of rat. 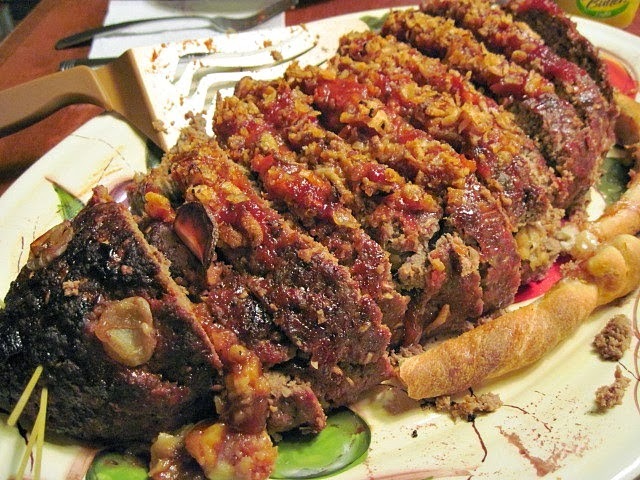 -Carefully press the two halves of the meatloaf together so he is properly sealed. -Carefully lift the rat onto an aluminum foil baking sheet that has been fitted with a rack. -Place 1-2 of the bread sticks coming out from the back end of the rat and work them into place so they look like a tail. Cover the tail with aluminum foil. -Make two indentations with you knuckle where his eyes will be and then press two whole onions into the indentations. -Poke the potato ears into place on top of the rats head and add his olive nose to the front of his face. -Bake the rat loaf in the preheated oven for approximately 60-90 minutes (depending on how big of a rat you’ve made) until he’s cooked through. -About 45 minutes before your rat is cooked thoroughly, remove the aluminum foil from the tail to allow the bread stick tail to brown. Top the rat with the remaining 1 cup French fried onions and continue to bake until he’s completely cooked through. -Remove him from the oven and add his spaghetti whiskers. *Note – I added the spaghetti whiskers in early just for photography purposes. If you bake them along with the rat, they’ll burn. 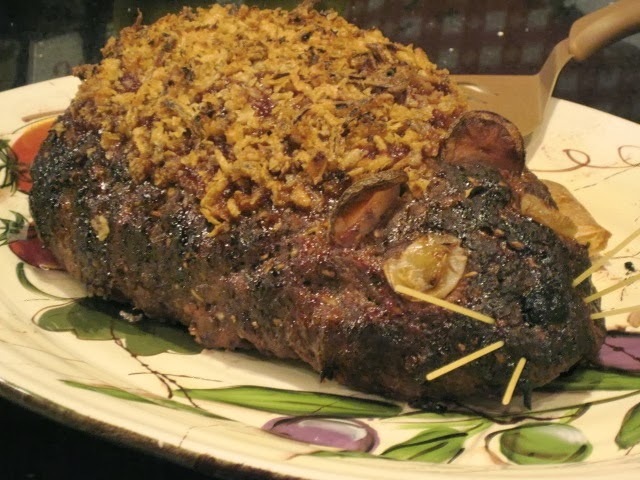 -Allow him to sit for about 10-15 minutes (covered loosely with foil) before slicing, serving and grossing out your family and friends!!! Please be aware, the remainder of these photos are not for the squeamish!!! Be afraid, be very afraid! My custom painted glassware and bottles are available for purchase. Please contact me for more information. Kudos Kitchen By Renee ~ Where food and art collide on a regular basis! I’m happily linking up this post with Ginger Snap Crafts – Wow Me Wednedsay! Now that is one heck of a rat loaf! OH MY GOSH! That looks so gross! And I LOVE it! Nice work! That's awesome! Loving his all-out grossness – perfect! 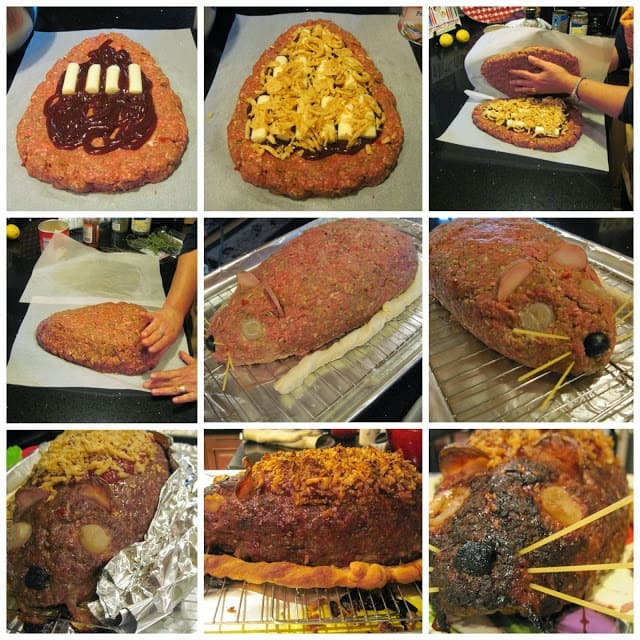 This is one of the most creative and gruesome Halloween dinner I've ever seen. Showed my husband…he said the same thing! Good for you Renee! I'm not the sweet ghoul you thought I was then, huh? Mahwahahaha! i love this recipe!! 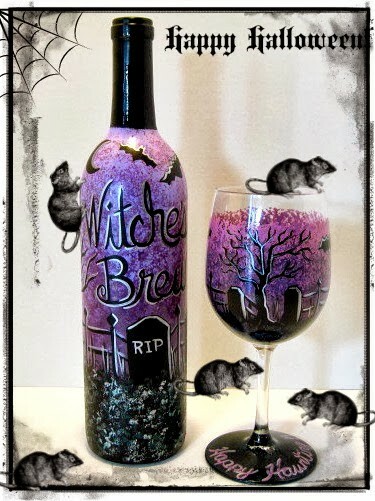 i look forward to making it for Halloween dinner this year!! beautiful pictures as well! This totally cracked me up. I love it.